Some people know Germany as the Das Land der Dichter und Denker (“The land of poets and thinkers”) but most of us know it for the famous Oktoberfest. But there is so much more about this country. According to the Anholt-Gfk Nations Brand Index, Germany was in 2014 the world’s favorite country as they conducted 20,125 interviews with people in 20 countries. 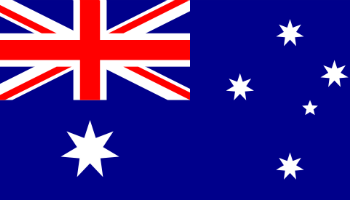 So it comes to no surprise that it is the second most popular immigration destination in the world, after the USA. Having thoughts about moving to Germany in the near future? If so, be sure to read the blogs listed bellow and see how others have got accustomed to their life. Nothing can be better than information and tips from the source, from people just like you who changed their whole life and started a new one far away from their home. Real blogs, from real people. GERMERICA is a lifestyle and culture blog owned by Courtney, an American living in Germany. She fell in love with the country while studying in the town of Luneburg, after graduating with a Bachelor’s degree in 2012 the author decided to save up some money and move back to Germany. In July 2013, she made her trip to the country a one-way ticket, and has been trying to make the country her new home ever since. Germerica discusses all the best things about this nation, such as the beer and its well-developed healthcare system, in comparison to America’s culture of open spaces, Kraft macaroni and cheese. It gives readers insight about her experiences living as an expat in Germany. 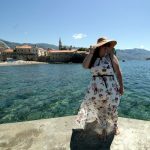 This blog is the brainchild of Tihana, a blogger who enjoys travelling, reading, writing, drinking coffee and of course finding some of the cutest cafes. With this site, she hopes to share her experiences with the world while chasing her dreams. Wandering Polka Dot is meant for those who want to travel more in life and not only see new places but also understand them better. Tihana says that she started the blog way back in 2013 as a journal about her life abroad. After picking up enough stories along her travel journeys, she decided to share them with the world and that’s how this site was born. 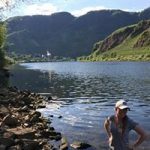 This is an interesting and versatile travel blog owned by Lorelei, an American expat currently residing in Germany. Lorelei describes herself as having a major addiction to fairy tale towns and castles, as well as adorable half-timbered houses. She moved to Germany in 2012 and later met her husband. Together, they have travelled across Germany and Europe, sharing their experiences and tips along the journey with readers. The blog also has a section called The Weekly Postcard where readers can share their latest posts and also interact with other bloggers freely. Moreover, for couples coming to Germany for the first time, Lorelei recommends visiting the Appenzell restaurant found in the Alpstein Mountains. Its offers a charming atmosphere with its quiet rolling landscape. Overseas Yes! 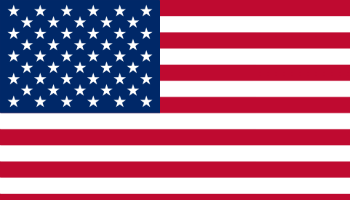 was created to cater for American citizens living overseas and working for the US military. The blog’s primary goal is to help readers discover ways of enjoying themselves and embracing all that their host country has to offer, mainly serving those in Germany and South Korea. This site is owned and edited by Heather Gelormine, an American woman married to a former US soldier. During her husband’s 14 years of Active Duty, she stayed together with her family in Germany as well as other locations in America. Heather maintains the blog during her free time from their home-base in Virginia. She hopes her travel tips will help readers go from Overseas Yikes! to Overseas Yes! 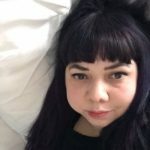 Eifel Mausi is a lifestyle blog that gives travelers and expats tips for having unique experiences while visiting Eifeler, Germany. The site is owned by a native Texan lady who lives in the small German town. She describes herself as a Southern Baptist, Libertarian-leaning, college teacher doing everything possible to embrace the country while still staying true to her American roots. Through her blog, she hopes to give people all kinds of resources that they need to enjoy quality life, whether they are locals of Spangdahlem or living as expats like herself. The author was brought up in Spangdahlem AFB as a child where his dad was stationed, and after finishing graduate school in America she decided to go back to Germany and settle in her former neighborhood. 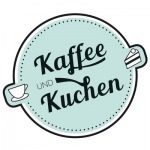 Kaffee und Kuchen is an expat blog owned by a Canadian lady from British Columbia who migrated to Stuttgart, Germany in July 2013. She moved to the country to join her German fiancé. In September 2016, the couple moved to the city of Wurzburg in the Franconian area of Bavaria. In German culture, Kaffee and Kuchen means taking a cup of coffee with a slice of cake in the afternoon. Nevertheless, this isn’t a food-focused blog but rather a platform for having an online ‘coffee chat’ with friends, family and readers. 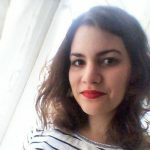 Though originally the blog was meant for close family members and friends, the author later started sharing her content with other expats who now find her posts helpful and informative. 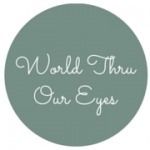 World Thru Our Eyes tells the story of Chad Josey and his wife Amanda, a married and professional American couple who’ve been residing and working in Germany since Dec 31st 2012. They moved to the country on New Year’s Eve and were glad to be welcomed by fireworks. The blog talks about memories and experiences they have encountered while in Germany and also visiting other destinations around the globe. To the couple, Home is about enjoying the now, while still looking forward to future events and also remembering fondly the past. The purpose of this blog is to document their travels, so that in the future they can look back and relish the sights, sounds and experiences of their trips. This site is owned by Emma, a London expat who’s been living in Munich for more than 2yrs. Emma says that when she left UK the blog acted a platform to record her experiences, so that friends and family back home can keep up with what she was up to. 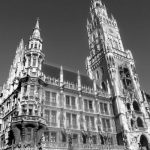 For expats planning to visit Munich, Emma says that they should prepare for a more outdoor lifestyle since this is inevitable while living there. Whether it’s visiting the lakes and biergartens during summer, or the mountains in winter, there’s always something interesting to do in the region. 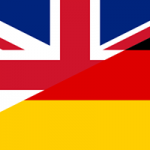 Additionally, the author recommends that you sign up for a German language course, this won’t just help in communication but also assist you in making new friends. This blog discusses the various adventures of a US expatriate living with his wife in Germany. The author, Jack Schmidt, is a graphic designer, writer and illustrator from Portland, Oregon currently working as a freelancer in the German town of Hannover. Schmidt is married to a pretty, smart and funny German woman. 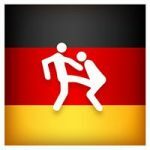 Though Jack started writing about the hilarious things that his wife was saying much earlier, it was only until August 2011 that he came up with the idea of starting ‘Oh God, My Wife Is German’ as a blog. He also had a collection of quotes, valuable idioms and mistranslations saved on his iPhone, and decided that it wasn’t just enough to share them with close friends but also with other people through the blog. 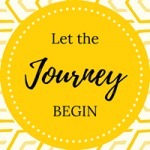 Let The Journey Begin was formed by Ilze, a young lady from the small lush country of Latvia found next to the Baltic Sea. Her dream to pursue studies abroad brought her to Northern Germany, where she later met with her husband and decided to stay a little longer. Originally, this blog was created in 2012 for the main reason of sharing the couple’s honeymoon adventures in Singapore and Malaysia. However, Ilze revived it about a year later because she was pregnant, and believed that the site would be a great way to document their journey into parenthood. Let The Journey Begin discusses the family’s story including the things that are of most importance to them. Deutschfield is an exciting travel blog by James-an English expat living in Cologne, Germany. It all began when a few years back he picked up a van and drove together with his belongings to Germany in search of some adventure. 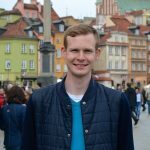 With this site, James hopes to help UK citizens find their way while visiting Germany, whether it’s through taking care of important documentation, transacting cash in the country, making new friends or learning the local language. Everything you need to know as an expat has been discussed on the blog, so that you can make your transition from foreigner to experienced expat much easier. In addition to being a freelance writer, the author is also a travel blogger who has visited more than 30 countries around the world. 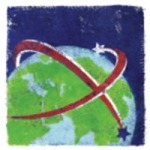 Erin at Large talks about the daily life of a small expat family living in Heidelberg, Germany. 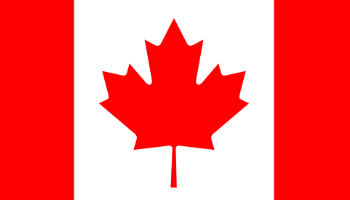 Though originally from Canada, Erin together with her husband, little boy and dog moved to Germany to start a new life there. 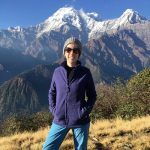 She says that blogging has been her passion since 1997, though back then there wasn’t any official name for it and the only way to do it was hand-coding each journal post by hand. Erin loves cooking, fine wine, good whisky and beer, plus over the recent few months she has gained particular interest about ethical sourcing. In the small town of Heidelberg, they are surrounded by farms, apiaries and vineyards which contribute to the region’s pristine atmosphere. For him, the compass represents travelling in all directions which is what he does on a regular basis. The ‘dusty’ part stands for the experiences he gathers along the way. The idea to start this blog started on one clear afternoon while Danny was lying in bed in an apartment in Frankfurt, he had a list of posts floating in his head about what the blog would eventually look like upon completion. 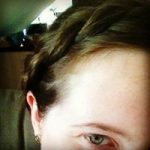 Oddities and Ends is all about the life and travels of Jessie, a 30yrs old American expat, writer and upcoming photographer residing in Wolfsburg, Germany with her husband. They migrated to the country from Detroit in July 2017. The blog was originally intended to be a place for her to write about personal travels, opinions and occasionally post short stories as well. 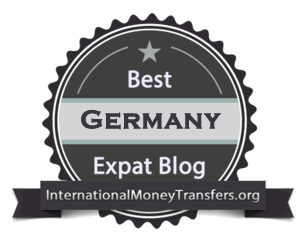 However, since moving to Germany it has steadily evolved to become an expat blog. Readers will find useful tips about living in Germany, including advice on how to communicate effectively with natives and so much more. For those planning to move to the country, she recommends that you should have all your documents ready in order to avoid any confrontations with the immigration authorities. 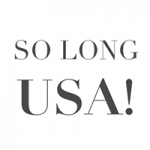 So Long USA! is the brainchild of Danielle, an American expat living in Germany. 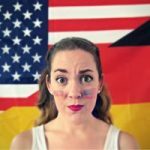 The author says that she came to the country looking for love but ended up staying for much more, she blogs about student life, travelling and expat experiences including cultural disparities between the US and Germany. Danielle enjoys everything that Germany has to offer, from the food to coffee and beer. She also likes the great public transport system and outdoors. She admits that upon moving to Germany there are certain peculiar habits she noticed from the locals, for instance, Germans rarely wear white socks during weekdays and instead prefer black socks. The white ones are set aside for wearing with jogging shoes while working-out. It’s an exciting expat blog owned by Alie C, the site talks about the everyday lifestyle of a British expatriate living in Baden Wurttemburg. She says that Germany has almost everything that a visitor needs to live comfortably, and the only products you may not find in the country are “own brand’ items from firms that don’t have stores in Germany. Moreover, for those in need of non-prescription medication, The Apotheke is the only point where they can get them. There are also various skincare and beauty products that can be found there. Germany also has Discount Supermarkets such as Netto, Lidl and Aldi where specialty foods can be found at given times of the year. No apathy allowed talks about life in a foreign country from the perspective of an American who’s been staying in Germany since 2008. It discusses the travels, attractions and discoveries to be found in the beautiful Hanseatic city of Bremen. Though the author is a Seattle-girl at heart, she has lived in Germany for more than 9 years and previously resided in New York and Uganda as well. When she first migrated to Hamburg from NYC in 2008, the city seemed small with its close to 1.7 million inhabitants. But she grew to love it there and later moved to the smaller city of Bremen. 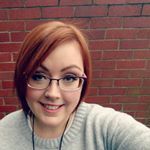 The author welcomes readers to connect with her through her blog but she is also available on Twitter, Pinterest, Instagram, Flickr and Bloglovin’.